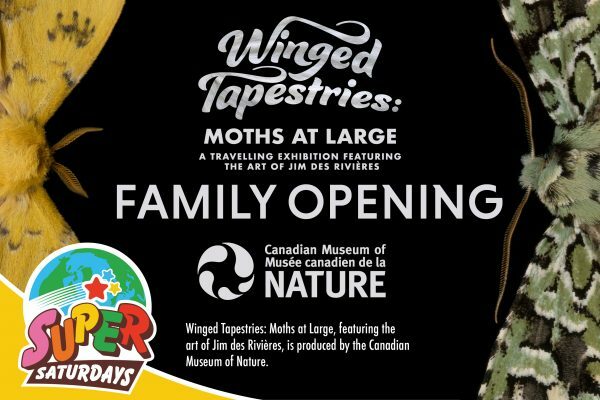 Put on your best pair of wings and join us at the museum to celebrate our most recent temporary exhibit, Winged Tapestries! Enjoy Insect Adventure’s live bug petting zoo, go wild as an OU Fit and Rec yoga instructor leads families in animal-themed yoga, make a craft, go on a scavenger hunt and more! Don’t forget to stop by our Exploration Station and explore bugs from our collection with an entomologist! Exploration Station, a craft, scavenger hunt and the Insect Adventure Bug Zoo will take place from 10 a.m. to 2 p.m. Other special activities include Little Learners at 10:10 a.m. and Wild Yoga at 11 a.m. along with regular Saturday programs like Explore It! and Discovery Time. BlueJ’s Rollin’ Grill food truck will be outside of the museum from 11 a.m. to 1 p.m.